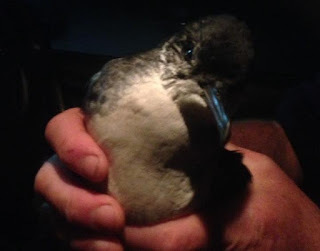 A juvenile Manx Shearwater was blown off course and crash landed in a Llanidloes garden yesterday. The first county record since 2007. The bird was taken to Aberystwyth for safe release and got away well. There were reports of more in the town - definitely worth keeping an eye open for them in the forthcoming bad weather. If you do find one then put it in a strong cardboard box and contact me and we'll arrange for release at the coast.